On board glo - Check out the picture below of Joe Hartsog's J-3 Cub on board glo set up. He uses a ni-starter that is activited by a roller micro switch with a control surface horn on the throttle pushrod. Pretty slick set-up. Click her for a larger view of a simple wiring diagram. 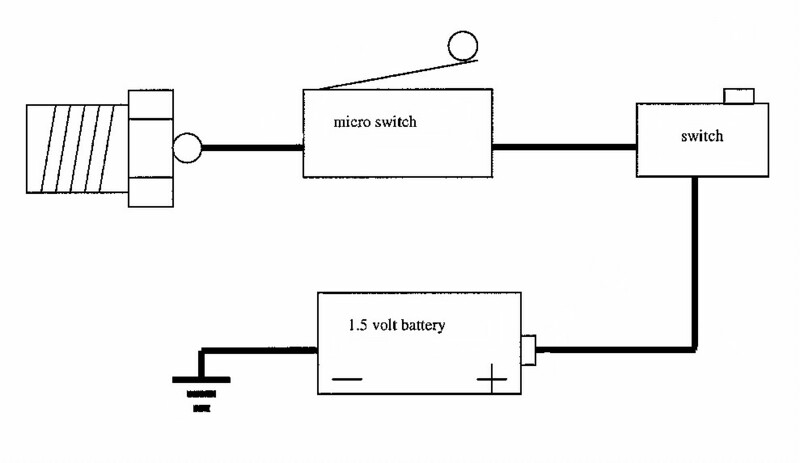 Click on the diagram above to see a simple wiring diagram for an on board glo set-up. 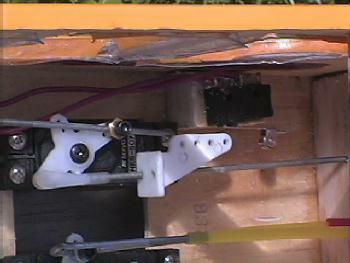 The roller micro switch activates the glo plug at low throttle. The other switch is used to shut off the battery off when not flying the airplane. The ground side of the battery must be grounded to the engine case. It can also be connected to the glo plug. The battery can be charged by removing it or by removing the connection on the glo plug and turning on the switch and then plugging in the charger.